The problems that result in cellulite are multifaceted and reflect underlying difficulties throughout your body that are predictive of a wear and tear trend. Cellulite is experienced by 90% of women and 10% of men, indicating that estrogen-related issues are a key aspect of the problem. 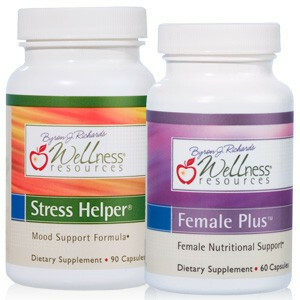 Men who develop the problem typically have low androgens (low testosterone). There are a number of factors in addition to estrogen that are involved with cellulite. These include fluid retention/lymph issues, nerves and stress, circulation changes, fatty acid build up, changes in fat cells, inflammatory tissue stress, and changes in the structures within and under the skin. The worse the problem the more cosmetically annoying is the dimpling and cottage cheese look of cellulite. In order to resolve or improve cellulite you should understand what your body is doing and why, so you actually solve the source of the problem. Next I will briefly describe the above four products, followed by an in depth review of what is known regarding cellulite and how you can use this information to make changes. This product contains enzymes that help clean up debris from the cellulite area while helping to calm down wear and tear. It is crucial for helping to clear the way for a healthier skin structure to take the place of the cellulite. It also helps reduce the swelling and fluid retention that accompanies cellulite – as well as generally assisting recovery from moderate aches or pains. *.